(Bloomberg) -- Even before Tim Sloan stepped down as the chief executive officer of scandal-stung Wells Fargo & Co., the bank had already gotten back into the good graces of the biggest U.S. state. 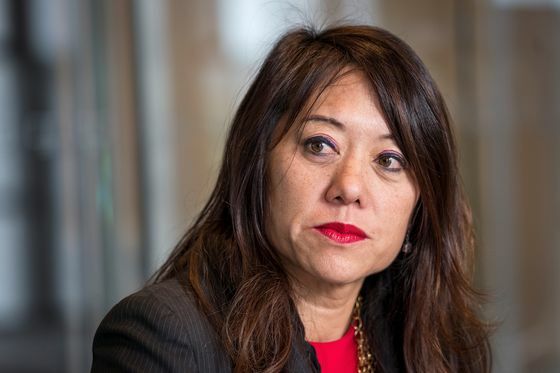 California Treasurer Fiona Ma in mid-February quietly removed sanctions put in place by her predecessor that kept the bank from underwriting the state’s bonds and barred California from investing in Wells Fargo’s debt. In 2016, then-Treasurer John Chiang approved the steps to punish the San Francisco-based bank after it admitted that employees opened bogus accounts in customers’ names to meet sales goals. Ma, who took office in January and is from the bank’s hometown, made the decision after staffers recommended it, her Deputy Treasurer Tim Schaefer said. He pointed to changes at the board, including the appointment of former Federal Reserve Board governor Betsy Duke as chair, and at the corporate responsibility committee. "Wells Fargo has made clear public steps that its rehabilitation is underway and has made significant progress,” Schaefer said. California was among governments that sought to punish the bank by pulling their business in the wake of the phony-accounts scandal, with officials in Illinois and New York taking similar steps. The California treasurer’s move comes even as two of the bank’s most important overseers -- the Federal Reserve and the Office of the Comptroller of the Currency -- signaled last month that they weren’t going to lift a cap on the lender’s growth. Sloan abruptly resigned last week. The office resumed using Wells Fargo as a broker-dealer in mid-March but has yet to buy its securities, Schaefer said. The bank has now rejoined the pool of underwriters the state can tap for upcoming bond deals. The treasurer’s office “made a conscious decision not to publicize” the step to prevent confusion that resulted as other state agencies, acting separately, continued to do business with Wells Fargo, Schaefer said. And even when the penalties were in place, open-bidding rules permitted Wells Fargo to compete for California bonds that were sold in auctions.